How on Earth did I Find Myself Reading Venom? I've never, ever, liked Venom. Not even when one of my favorite writers, Warren Ellis, included him in the pages of his criminally overlooked Thunderbolts series. As a child my best friend's favorite comic was Amazing Spider-Man and when we were in 3rd grade in Mrs. Ponder's class I was completely taken with Jim Valentino's space faring operatic epic Guardians of the Galaxy he was wrapped up in this guy Todd McFarlane's new Spider-Man series. I have very distinct memories of our having conversations in JC Penny's while our mothers shopped about how he thought that Arnold Schwarzenegger should play the brutish villain Venom and that perhaps the star of Ferris Bueller's Day Off, Matthew Broderick, would play his favorite comic character ... Peter Parker. I could have cared less. My mind was in the stars. The stars of the 31st Century to be specific. I was too busy wondering what was going to happen to Charlie-27 and Nikki were ever going to patch things over or if Major Vance Astro was going to survive having his next encounter with Starhawk or the next breach of his containment suit. Wondering if I was the only kid who thought that Martinex was cooler than Ice-Man, despite my concurrent fascination with the Simonson run on X-Factor. I didn't have time for "symbiotes" or such nonsense. And as we all know what we like and don't like as a 3rd grader will inevitably shape what we like when we're nearly 30. 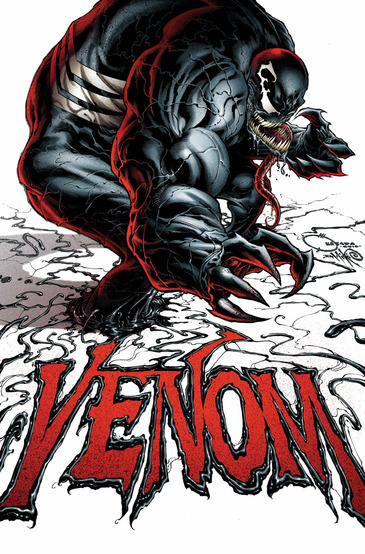 Yet I find myself drawn to this new Venom series. 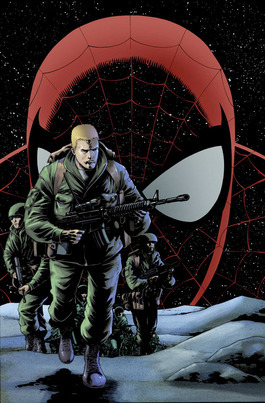 Perhaps it's because I read Marc Guggenheim's Amazing Spider-Man #574 and was completely taken with the story of Flash Thompson as a soldier in Iraq (thank you Scott Blumenkamp for making me read that issue). Perhaps it's that one of my other favorite writers currently, Rick Remender, is writing the book with one of his most imaginative collaborators, Tony Moore, doing the pencils. Perhaps it was the Amazing Spider-Man #654.1 that came out a few weeks ago that seemed really cool and that set the tone for what might be, finally, a cool idea of how to use the Venom character. Perhaps it's all of those things combined. Whatever it was though I am glad that I did.